The only public access to the Orlando International Airport terminal is a menacing artery of chaotic merges, diverges and curves populated by lost drivers looking at overhead signs and making wild, last-second lane changes while going 20mph over the speed limit. 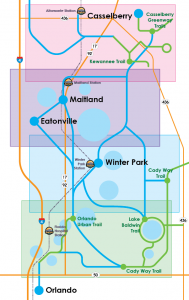 I can’t think of many places in Orlando that I would consider inaccessible by bike. There are some that aren’t terribly pleasant to get to, but can be ridden safely. As someone who frequently rides through complex, intimidating interchanges to show others how best to tackle them, I can only think of one place I would not ride my bike—even on a dare. The only public access to the Orlando International Airport terminal is a menacing arterial mess of chaotic merges, diverges and curves populated by lost drivers looking at overhead signs and making wild, last-second lane changes while going 20mph over the speed limit. No, thank you. CyclingSavvy’s slogan is “You Can Go Anywhere!” Oops, anywhere except the airport in the the program’s home city. But I have good news! 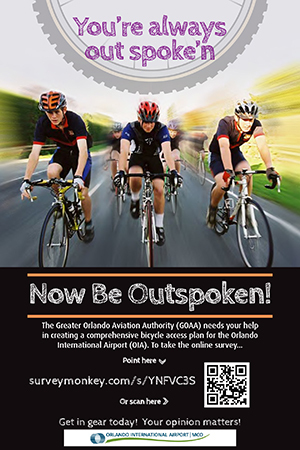 Our friends at HDR are working on a bike master plan for Orlando International. You can help by taking this survey. 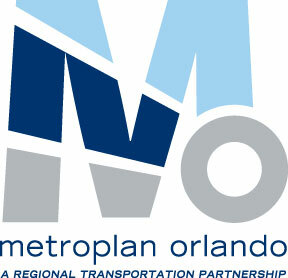 Please don’t refer to the airport as “OIA” it’s call letters are “MCO:. Among other reasons is this confusing to people who wish to search for flights online who try to use OIA. Where is the book a flight link? I want to come to Orlando. DFW makes it illegal to ride a bike in the main loop by virtue of a minimum posted speed. OTOH, many DO park their bikes at the fence of the Remote South parking lot and take the shuttle. No bike racks on the shuttle. A quick look at the Goog shows a pair of service roads with 35 mph max speed and no minimum. Not sure how possible it is to get between the service roads and the terminals, since they want you to pass through the toll booths and use the main lanes, but you might be able to get in through the employee lots. PS: the former Airtrans guideway could probably be easily converted into a pathway. Posted speeds for the main lanes that serve the terminals are 55 Max and 30 Min. I do not know how one gets from the peripheral areas to the main terminal except by shuttle or special employee transit. Hence all the bikes locked to the fence at Remote South. The service roads are not difficult to ride, but mostly they don’t go anywhere you’d want to go other than a couple of hotels or across the airport as a shortcut to Irving. This seems typical of many large airports. Even Seattle’s. Turns out that parking lot to the right is the “vehicle waiting area”, and the roadway in front of it connects to the terminal pickup/dropoff. So as long as they don’t mind you crossing the grass, you can get to Terminal E (and probably the others in similar fashion). Even Boston only had a high-speed freeway (technically legal to bike on but not very comfortable) until the Big Dig. Now you can enter through the airport hotel. You still have to make your way the long way around (unless you take the subway), since the airport is across the harbor from downtown. I think the best way to bike to OIA would be to enter from Cargo Road, then control the far left lane that the onramp becomes. You probably won’t get as many honks because this is an extra merge lane that continues into the Terminal A entrance. Or if you’re comfortable entering a two-lane roadway on the left (with decent sight lines) you can ride down from the upper (departing flights) level of Terminal B and stay in the right lane all the way to the south exit. That also looks like a reasonable way to enter: take the left exit from the south access road into Terminal B. 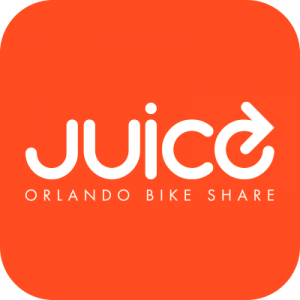 Will they let you ride to one of the satellite parking lots (one on Cargo Road, the other on the south access road) and take your bike on the free shuttle to the terminals? As far as paths go, http://mapsengine.google.com/map/edit?mid=zJ6tKQcwi70c.kMgVyEFuPqR4 would require only a bridge at each terminal. PS: Epcot is pretty bad for biking to as well. But you can take the free bus from Downtown Disney.